This mews house in Forton has a south facing roof. It’s quite a small roof with a gable and a rooflight, but we used a high performance panel to make the most of the available space. 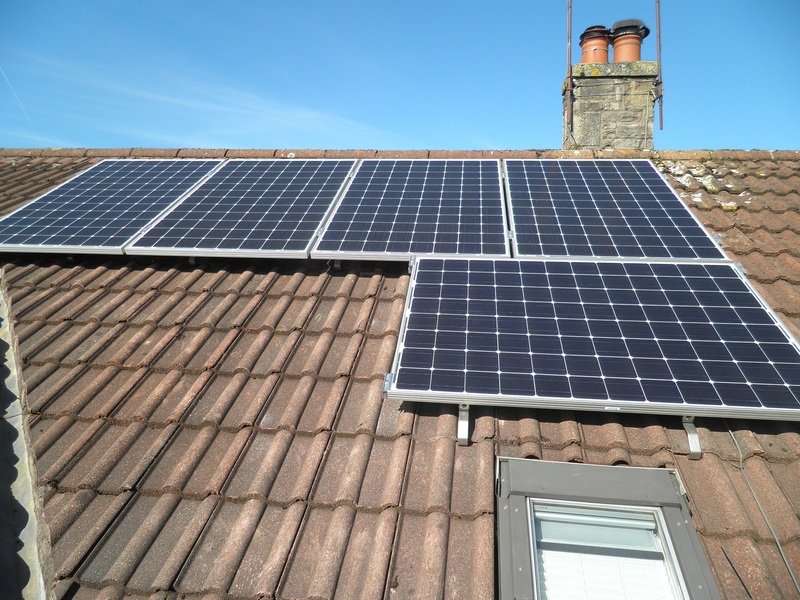 We installed 5 Seraphim 285W monocrystalline solar panels with a Samil 1600TL inverter. 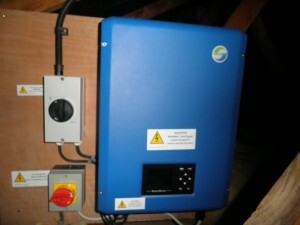 The yield projection for this system is 1191kWh per year. This detached farmhouse in Aughton has a south facing slate roof. 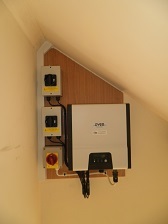 We installed 12 CSUN 200W monocrystalline solar panels with an Eversolar 2000TL inverter. 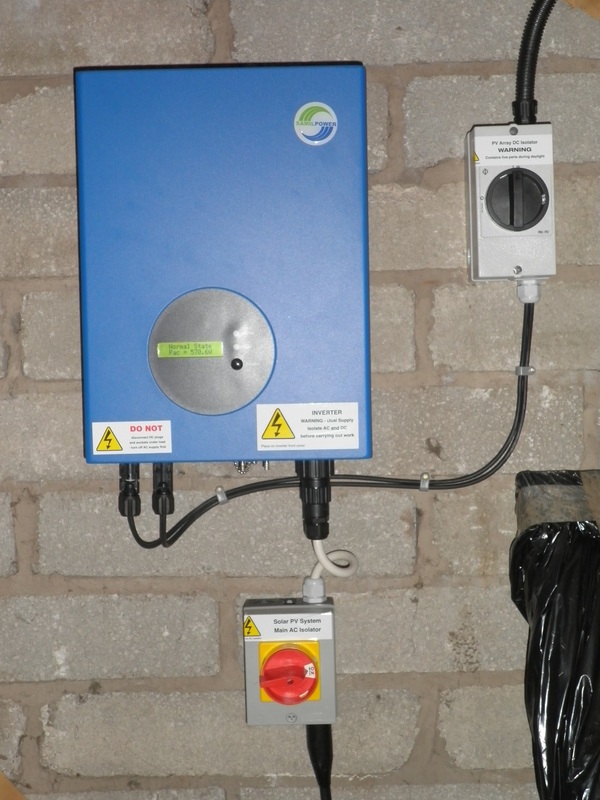 The yield projection for this system is 1670kWh per year. 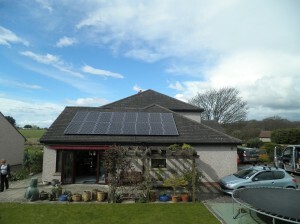 This detached house in Bolton le Sands, Carnforth, has a south facing roof. 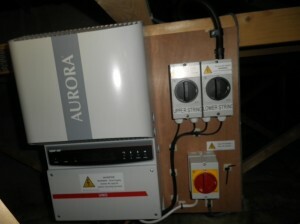 We installed 16 Panasonic 250W hybrid solar panels with a Power-One Aurora PVI-3.6OUTD inverter. 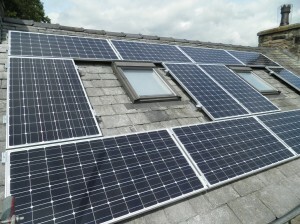 This semi detached house in Kendal has a south west facing roof. 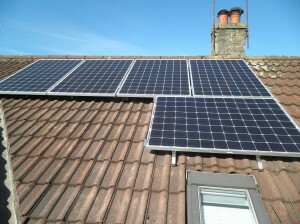 We installed 15 Panasonic 240W hybrid solar panels with a Samil 3400TL-D inverter. 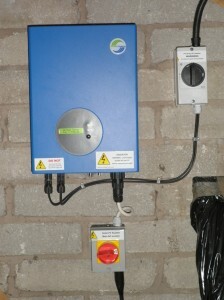 The yield projection for this system is 2926kWh per year. 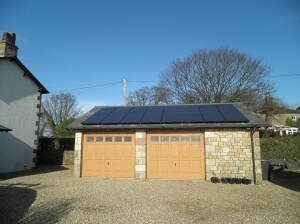 This detached garage in Lancaster has a south facing slate roof. 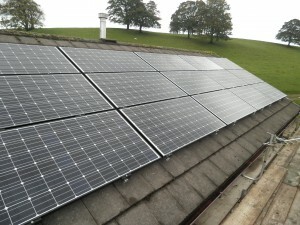 We installed 16 Hyundai 245W all black monocrystalline solar panels with a Power-One Aurora PVI-3.6OUTD inverter. 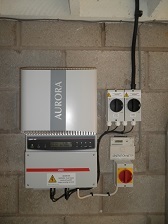 The yield projection for this system is 2713kWh per year.